Taiko Gathering is this Sunday, August 18th, in the JACCC Plaza in downtown Los Angeles! Admission is free, and people are able to come and go as they please; over a dozen different groups from Los Angeles and Southern California are playing, so check the schedule to find out when your favorite groups are playing. 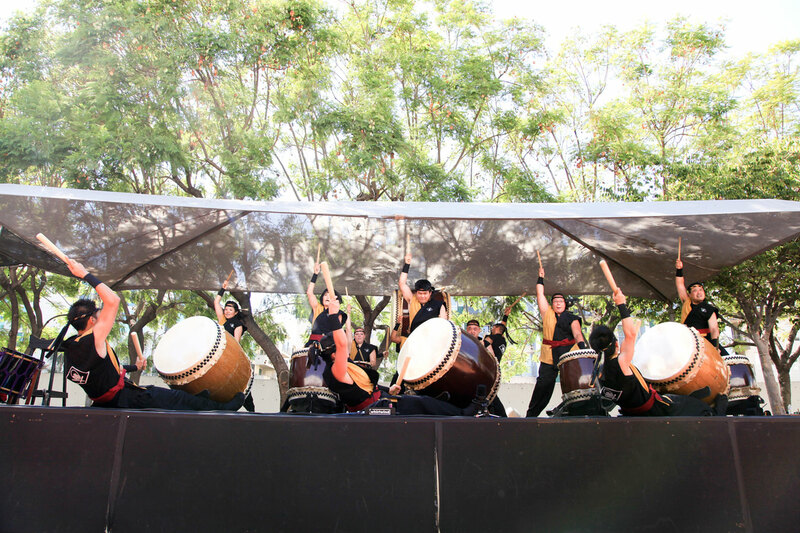 Kishin Daiko is taking the stage around 1:55pm, so arrive early to find parking, get something to eat and stake out some chairs in the shade. We hope to see you all there!